Leo leads M12 in the Bay Area and New York. His team invests in B2B SaaS, cloud infrastructure, AI/machine learning, big data and analytics, cybersecurity, and productivity (the future of work). He has more than 20 years of experience in venture capital, investment banking, and business development. 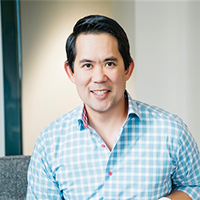 Previously, Leo was a principal at Split Rock Partners focused on investing in entrepreneurs building leading software and cloud-based service companies. He’s also held positions with Saints Capital, AMD, St. Paul Venture Capital, and Lehman Brothers, and he served as a lieutenant in the Singapore Armed Forces. Leo holds a MBA from the Haas School of Business at the University of California, Berkeley and a Bachelor of Business Administration from the University of Texas at Austin.